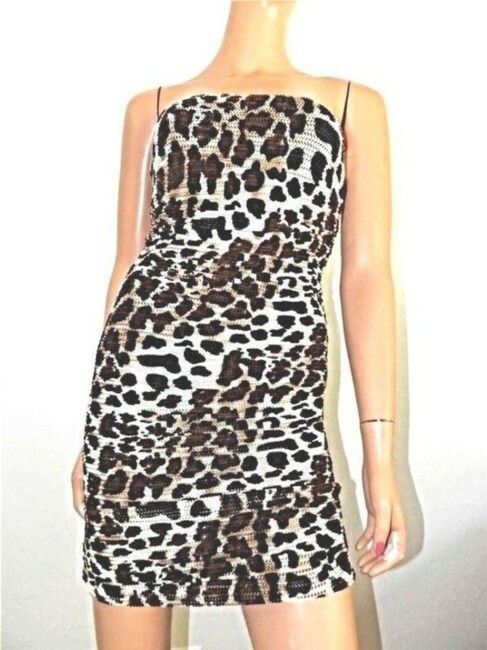 A classic-cool leopard-print convertibale dress/skirt with a refined herringbone texture. Fabric: Textured slinky jersey - 94% nylon/6% spandex. Size X-small Very Stretchy: waist 25", hips 28" and length 27"